Reducing speeding and improving road safety are high priorities for the Forum. 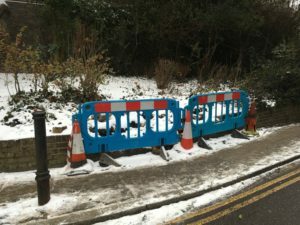 This is a request to all residents of Highgate to help us identify the danger spots. Please respond with your comments below and in particular let us know of any damage that is still evident following road accidents. 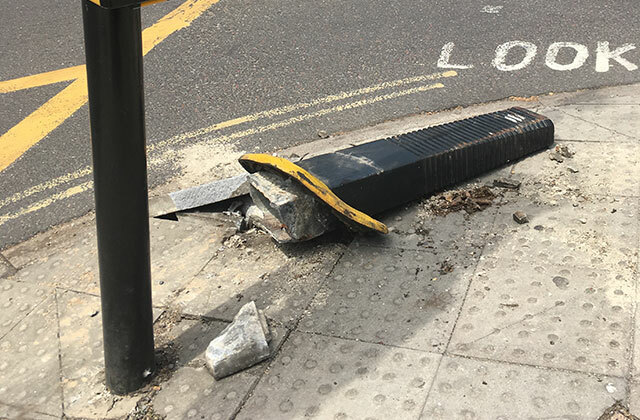 Every time a car is out of control or comes off the road and hits a lamp post, bollard or wall it is only good fortune if people are not injured. And sometimes they are injured, and seriously. By way of background, this Forum note (and this 2016 blog) looked at road speeds and safety. It showed that the queues during much of the day give way to persistent speeding by a minority at night. 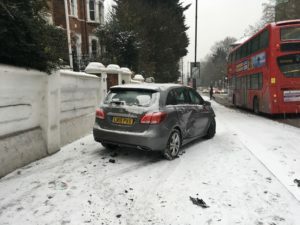 Of course, despite the many thousands of vehicle movements in Highgate every day, accidents are rare. Even so, the blog includes a map that shows that accidents (especially) on the main roads that have been recorded. 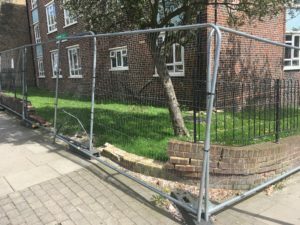 This blog from May 2016 reported a crash on Highgate Hill. There have been some incidents since on Highgate Hill as seen in the images below. Most incidents tend to be on the main roads but please do send any images of other incidents that have occurred in Highgate. This evidence will help us work with the council(s) to improve safety where it’s needed most. Turning right from Southwood Lane on to Highgate high street is extremely dangerous, especially for cyclists. Cars heading down the high street do not slow as they approach the min round about. Visibility is extremely limited to a few yards due to the slight curve. I have navigated this junction for 20 years by car, motorcycle and cycle. 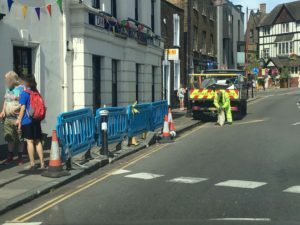 The council need to rethink its design urgently.